Exudence of Toshiba, scrapings of Sphere3D and essence of NGD make a foul-smelling storage broth this week. We invite you to dip in a ladle and get a taste of what the storage industry got up to in the past week. 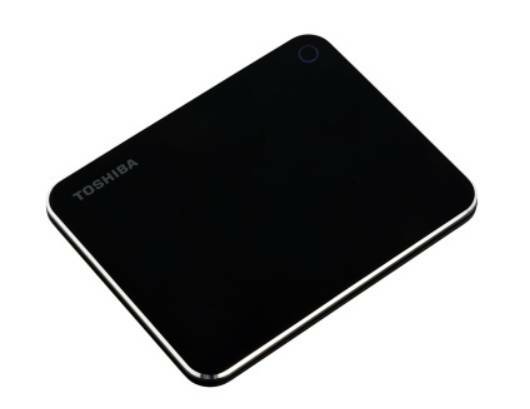 We have a new Toshiba portable SSD, NGD announcing SSDs with embedded Arm application processors, HCI software from Maxta and Zetastack, client SSD price declines, and a reminder that enterprise data storage startup Tintri is still struggling. Maxta's hyperconverged infrastructure (HCI) software now supports Red Hat OpenShift Container Platform and Red Hat Virtualization. It said customers can migrate from VMware vSphere to Red Hat Virtualization, and then support containers on the same platform using Red Hat OpenShift Container Platform. The product is aimed at organisations that need to support virtual machines, containers within virtual machines, and containers running natively. Maxta said its HCI software allows customers to run a mix of hypervisors and containers on the same hyperconvergence platform so that they don't need separate infrastructures for each type of abstraction. It has joined Red Hat OpenShift Commons and has been given a Red Hat OpenShift Primed technical readiness designation. We first wrote about NGD Systems in February. Now it has announced a 16TB NVMe 2.5-inch (U.2) SSD product, branded Catalina-2. It has "in-situ processing" capabilities using 64-bit Arm multi-core processors. NGD said it draws only 12W (0.75W/TB) of power, compared to the 25W or more used by other NVMe flash drives. The idea is to provide computing with storage at the internet edge or similar locations, and save host device CPU cycles as well as avoiding the movement of edge-generated data to a central or cloud data centre. For example, a set of video cameras could feed an edge device fitted with NGD's drives and they could provide object tracking through a video-cam's timeline and/or across video-cam feeds. However, this is not a product for any workload; it isn't suited to video rendering by a Pixar, for example. NGD said it is OK for analytics and data management, providing near real-time analytics on incoming data feeds. It could also provide key management/decompressions for AES, GZIP, LZW and BZIP. Using Catalina drives, a single 2U server with 48 hot-swap U.2 bays can reach 768TB. The in-situ SSDs augment the server's processing power with their embedded Arm application processors. NGD said it demonstrated an over 500x improvement in a 3M vector similarity search at the Open Compute Project Summit last month in San Jose, California. NGD has said it may support EDSF ruler-form factor SSDs by the end of the year – looking at more than 1PB of capacity in a 1U chassis, using short-length EDSF. It said full-length EDSF rulers could provide 2PB in 1U. The company has also looked at a 32 AIC format drive. Compute-in-storage efforts have been tried by Seagate (Kinetic disk drives) and Coho Data in the past, and are being developed by OpenIO, Scaleflux and NGD. Finding the applications and their providers that need processing grunt at drive level is the key. StorageCraft has brought out StorageCraft for Law Enforcement to help police reduce cost and inefficiencies associated with body-worn video storage. The product is intended to look after data management for UK police as they begin to use body worn video cameras. Each camera can record up to 12 hours of footage, and anything considered useful as evidence is stored "indefinitely" – with mounting storage requirements and costs. An entry-level configuration with 24x7 support costs less than £15k, including 96TB of storage. The solution can be installed and available in less than 15 minutes. As more storage is required, users simply add drives and the capacity dynamically expands the same global file system without interrupting applications or users. Tosh Memory America has launched a shirt pocket-sized portable SSD, the XS700. It has a 240GB capacity, using 64-layer 3D NAND, and USB 3.1 Gen 2 support with a USB Type-C connector. This makes it compatible with the latest MacBook, MacBook Pro and iMac computers – as well as Windows-based systems. The casing is black-painted aluminium – boring and bland – and has been drop-test certified at a height of 2 metres. The XS700 has a three-year warranty and can be purchased at e-tailers including Amazon and Newegg ($94.94). It said the pricing model is 12 month subscription, aiming for £400/€500/$600 per server, per year (£1,200 per year for a three-node cluster) with no limits on CPU, memory or storage. It is aiming the product at SME and educational customers. Box revenues for Q1 FY2019, ended April 30, were $141m, up 20 per cent on a year ago. There was a loss of $35.9m compared to $40m a year ago. DRAMeXchange reports that the oversupply in the NAND Flash market has resulted in client SSD price declines. It expects the notebook market SSD adoption rate will exceed 50 per cent this year. PCIe SSDs will gradually replace SATA III SSDs, the current mainstream product, at a faster pace, and the PCIe SSD penetration rate could reach over 50 per cent this year. A 31 May Sphere3D special shareholders meeting agreed to sell the Overland Storage business unit to Silicon Valley Technology Partners, which is run by the now ex-Sphere3D chairman and CEO Eric Kelly, who arranged for Sphere3D to buy Overland Storage, where he was the CEO, some years ago. The remains of Sphere3D are now known as HVE ConneXions, Inc.
Tintri is now valued at (market capitalisation) just $14.4m with stock selling at at $0.44. The vendor's share price had already dived from $6.55 in early March to $0.97 in the beginning of April. Its Q4 2018 revenues were reported at $28.9m in January (compared to $40.8m in Q4 2017) and its latest (Q1 FY2019) quarter's results are due out in a week or so. A partnership between OVH US and Veeam provides a backup option as part of the OVHcloud. In the USA, Veeam is the production backup tool for OVH's our vSphere-based Dedicated Cloud and Enterprise Dedicated Cloud offerings, automated backups, simple restoration, and daily reporting functions are set up and ready to go with just a few clicks. The offering will allow customers to choose custom bare-metal hosts and storage systems to fit their needs. A partnership with Zerto has Zerto providing disaster recovery to OVH US cloud customers. The disaster recovery as a service (DRaaS) offering will be available as a part of OVH's vSphere-based Hosted Private Cloud IT resiliency services.